This season Margaret Howell introduces a packable mac aptly named "PAC-A-MAC". The design is simple and clean and features a lightweight gore-tex material which is waterproof with fully taped seams. Included is also a carry bag where you can fold and store the coat when not in use. 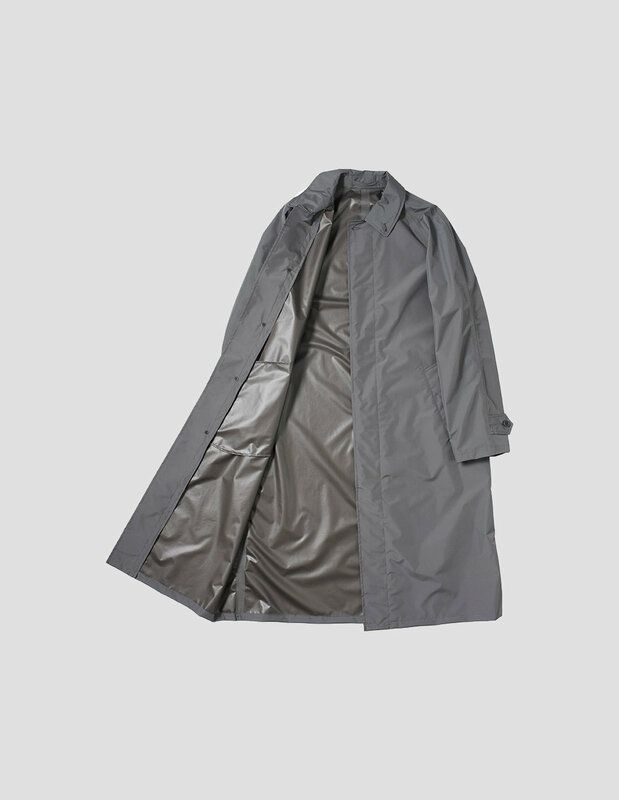 Available now via the Margaret Howell online store in a beautiful charcoal grey colorway.